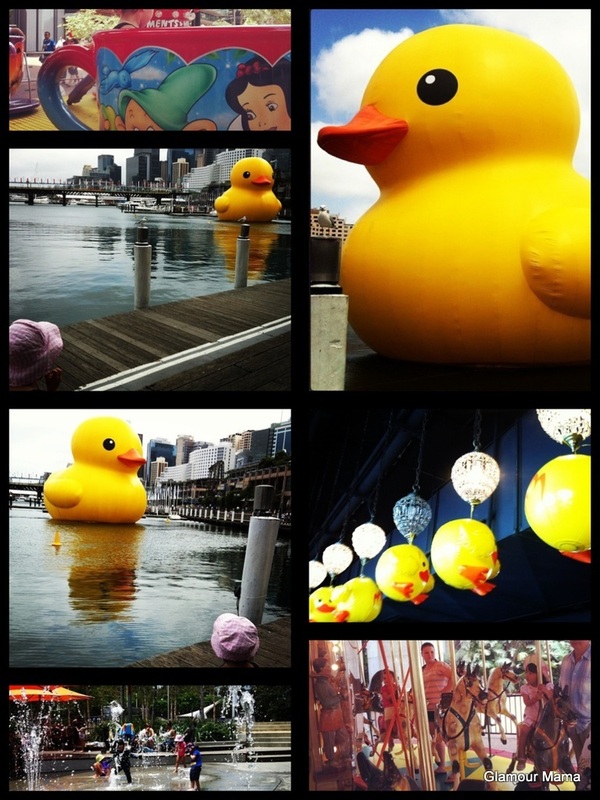 There is a giant yellow rubber duckie at Darling Harbour. The Preschooler spotted it as we drove past the other day. Well, you couldn’t miss it actually, I’m sure it can be seen from space. Of course she’s been nagging me ever since. So here we are checking it out. Yup it’s big. It’s yellow. It’s a rubber duckie. And it’s in the middle of Darling Harbour as part of Sydney Festival until January 23rd. And of course, no trip to Darling Harbour is complete without a ride on the Carousel and Teacups; plus a play in the amaaazing water play park. Get there early, take a change of clothes and be prepared to have loads of exhausting fun. What events do you do with The Kiddos during Sydney Festival?